A new study has found a dramatic increase in the numbers of Americans who use cannabis, and also found that attitudes towards cannabis have shifted over time to reflect a wider acceptance of its use. The study — published in the British medical journal The Lancet Psychiatry — analyzed survey data from 596,500 adults gathered every year from 2002 and 2012. 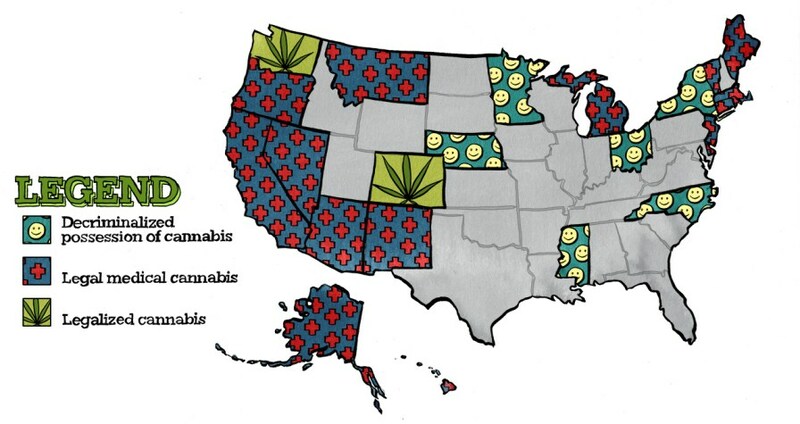 The period contained within the study came before any states in the U.S. legalized cannabis for recreational use. The survey found a 2.9% increase between 2002 and 2014 in the number of Americans who said they used cannabis at least once over the past year. That amounted to around 10 million more Americans who said they consumed the substance. Of particular note was the realization that the number of cannabis users who consume the substance on a daily or almost-daily basis rise from 3.9 million to 8.4 million over the course of the 12 years. “This translates to a more than doubling of the number of adults using marijuana daily or near daily,” Compton notes. The study also found a precipitous drop in the numbers of people who consider regular cannabis use to be a “great risk.” According to the data, the percentage of those who held such a position decreased by over 17 points in 12 years, from 50.4% in 2002 to 33.3% in 2014. Observers have speculated on why the numbers of people who find cannabis use risky have faced such a steep decline, with the numbers showing a noticeable dip in 2007. The study was clear about what it perceived to be the risks associated with regular cannabis use, saying that there was a responsibility to “target the reduction in perceived harm of using marijuana.” It went on to cite cannabis’ association with lower life satisfaction, greater criminal behavior, higher unemployment, and low income, among other things. In commenting on the study, Dr. Wilson, the study’s author, stated that he hopes more in the medical community begin paying attention to the use of cannabis by patients. He said greater cannabis use by patients could be a factor in the ways in which patients respond to other medical care they may be receiving.